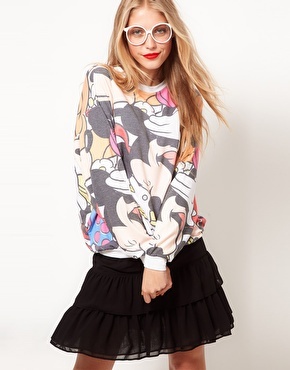 So I have just handed in a big deadline and all I want to do is get into this cosy Sweater with Contrast Sleeves. It’s available from ASOS for £30.00.I love the purple contrast collar and sleeves. 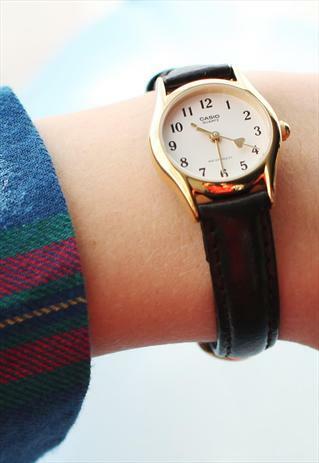 With a relax fit and 100% cotton this will also look good with jeans, leggings and denim shorts in the summer. Get yours today! We all need our essential denim for the spring, so why not make the most of ASOS 50% off key Spring Fever items. This bleached denim gilet with classic point collars and twin patch pockets is available now for £15.00 down from £30.00. Why not try rocking the double denim look? 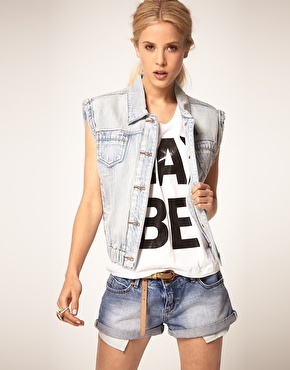 Let’s prepare for a sunny summer, get this denim gilet today! Ralph Lauren have designed one of the best denim shirts I have ever seen, so perfect for S/S. I know it can be a bit pricey, but if you want to be that person with the shirt that everyone wants, then here it is. With a classic point collar, western themed detailand some great twin pockets it is available from Ralph Lauren for £110. Please someone buy this for me! If you have the money, then you will never regret this amazing investment!